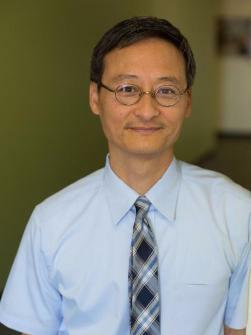 Hung Dang was appointed as Pacific's new assistant provost for admission and university registrar following a nationwide search. He will begin the new position on Feb. 16, 2016. This new position was created to reengineer workflows among the Office of Admission and the Office of the Registrar by cross-training staff, streamlining processes and leveraging technology to optimize self-service and customer service to students across our three campuses. 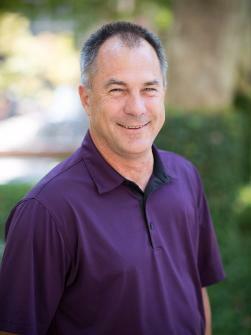 Dang brings to Pacific over 25 years of experience in enrollment management, most recently as associate vice president for enrollment management at California State University Channel Islands. Scott Merry, professor of civil engineering, was appointed as the new assistant provost of student academic achievement. He will fill this key role in the academic administration, responsible for ensuring the quality and effectiveness of academic support programs across the university. The three-year appointment is effective July 1. 2016. He will be responsible for fundamental skills and general tutoring programs, undergraduate honors programs, academic early alert system, student academic grievances and undergraduate and career advising. Merry will take over from Lou Matz, who has served as assistant provost of student academic support and retention for the past four years. During his tenure, Matz has helped lead the design and implementation of Pacific's new Student Success Initiative. This brought about the establishment of the Student Success Committee, which has been responsible for spearheading numerous additional student support services, such as Intensive English, academic tutoring and developmental writing programs, and the piloting of an early referral and identification system. The provost expressed thanks to Matz for his service and accomplishments over the past four years. The Public Policy Program is one of several new courses of study coming to the Sacramento Campus. The program is expected to begin in fall 2016. Pacific welcomes two faculty members whose expertise will bring great depth to the program. The program's founding director, John Kirlin , came on board at Pacific July 1, 2015. Marcie Paolinelli joined Pacific Dec. 1, 2015, as associate director for Public Policy Programs, and adjunct professor of Public Administration. Paolinelli is an experienced public professional, with more than 25 years of management consulting services to public organizations. She has skills and expertise in strategic planning, management analysis, business process improvement, implementation, and change management. Paolinelli received her Doctor of Public Administration degree from USC, where she also taught courses. As a member of the American Society of Public Administration, Paolinelli has served as president of the Sacramento Chapter, national board member of the Section on Intergovernmental Administration and Management, and national council member representing California. Jeffrey Michael, executive director of the Center for Business and Policy Research, will begin work as a professor of Public Policy on Jan. 1, 2017. Michael worked closely with Dean Jay Mootz and Professor Clark Kelso to propose and develop the McGeorge public policy programs and has been working closely with the founding director, Professor John Kirlin, since last summer. Michael will devote approximately 40% of his time to the program, while retaining his appointment in the Eberhardt School of Business. He will continue to serve as the executive director of the Center for Business and Policy Research, which has offices in Sacramento and Stockton. The center will operate as a joint venture of McGeorge School of Law and Eberhardt School of Business. Michael's areas of expertise include regional economic forecasting and environmental economics including work on water resources, the Endangered Species Act, climate change and regulation on land use, property values and employment growth. In December, Pacific welcomed the new faculty members who will be teaching in the new 27-month Master of Physician Assistant Studies program planned to start January 2017 on the Sacramento Campus. The Arthur A. Dugoni School of Dentistry is administering the program, making it the first dental school in the nation to administer a physician assistant program. The appointment of Mark Christiansen as associate professor and founding program director of the MPAS program, was announced in May. 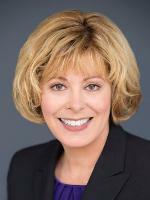 Tracey DelNero is an associate professor and the director of academics in the program. Prior to joining Pacific, DelNero served for 10 years as the Director of Clinical Education at Touro University California's Joint MSPAS/MPH Program. In 2014, she earned a Master of Science in Physician Assistant Studies (MSPAS) degree from Touro College. Her clinical specialties include internal medicine and geriatrics. DelNero was honored with the Physician Assistant Education Association Clinical Educator of the Year Award in 2014. She has provided professional lectures at the local, state and national level for multiple Physician Assistant associations. Jessica Garner is an assistant professor and clinical coordinator in the program. Prior to joining Pacific, Garner was a faculty member at the San Joaquin Valley College PA Program, where she served as clinical coordinator and taught several courses. Garner received her master of medical science degree in 2012 from Saint Francis University. She currently works in an integrative oncology practice, with a focus on cancer research and cancer epigenetics. She has coauthored several peer-reviewed articles in the area of cancer epigenetics and translational medicine. Jed Grant is an assistant professor and principal faculty in the program. He will also serve as the admissions coordinator for the program. Prior to coming to Pacific, Grant was a faculty member and program director at the San Joaquin Valley College Physician Assistant Program. He began his medical career as a U.S. Army medic and has been a practicing PA in family and emergency medicine for more than 15 years. He received his master of physician assistant studies (MPAS) degree with an emphasis in emergency medicine in 2008 from the University of Nebraska. He is currently serving in the California Army National Guard where he works as an aeromedical physician assistant. Grant was appointed to the physician assistant board of California in 2013 by Gov. Jerry Brown and currently serves as vice president of the board. He is a frequent speaker on a variety of topics at continuing medical education conferences for PAs in California. Rahnea L. Sunseri is the medical director and a clinical assistant professor in the program. Her medical specialty is Internal Medicine. Sunseri brings over 35 years' experience in primary care clinical medicine in diverse patient populations and practice settings, including outpatient clinics, hospitals, emergency departments, and skilled nursing facilities. Sunseri is board certified by the American Board of Internal Medicine and has been elected to the American College of Physicians along with other professional societies. She graduated in 1976 with a doctorate of medicine from the UC Davis School of Medicine. Sunseri is focusing her career on medical education for students entering health professions, particularly physician assistant candidates. Previously, she lectured at internal medicine and grand round conferences, employee health screenings, community health fairs, and Café Scientifique at the College of San Mateo.